To meet these objectives, chapter is now initiating the process of accepting nominations for Regional Connect Ambassador (RCA) position. This program will be rolled out across North India Chapter Geography, where NIC-RCAs (North India Chapter - Regional Connect Ambassadors) will act as a liasion between the respective region and Chapter Board. We may be appointing more than one NIC-RCAs within each region for depending on its size, and scope / requirement of advocacy. Preference being given for volunteering at other chapter events / activities etc. If you are an active North India Chapter member, with a strong drive to volunteer and giving back to the community and project management profession. You can click here to submit the online volunteer application, please ensure to click on NIC-RCA to register your interest in this program. We are inviting first round of applications till November 30, 2012. Not a North India Chapter Member yet? 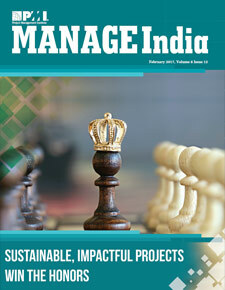 We strongly encourage you to join PMI North India Chapter and take benefit from various activities. Join PMI North India Chapter today.